Whether you’re an experienced master chef or you just like to dabble in cooking at home on the weekends, the most important tools in your kitchen to make your culinary creations the most delicious they can be are found in your spice cabinet. High-quality spices and spice blends can turn a bland dish into a flavor burst that you’d want on the menu for your last meal on earth. 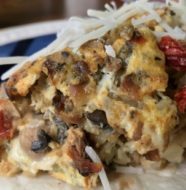 Personally, I love to experiment with different spice blends to turn some of my favorite comfort foods (like an omelet for a weekend brunch) into a new flavor experience. That’s why I was delighted to discover a local Chicago company called Urban Accents®, which specializes in gourmet spices and spice blends. 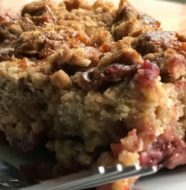 I’d seen them in my local grocery store, but it wasn’t until the International Home & Housewares Show this past spring that I really learned about the wide variety of products they have – and they are literally less than 4 miles from my home. Now that’s local food sourcing! 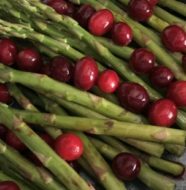 Over the course of several weeks, I tried a wide range of spices and spice blends in a variety of foods, including: Italian meatballs, Brussels sprouts, turkey burgers, omelets, meat loaf, cooked carrots and fresh corn on the cob. Sweet & Spicy Moroccan Veggie Roaster — Moroccan-inspired blend of paprika, chili, garlic, cinnamon, mint and more. Asian Curry & Honey Veggie Roaster — Asian-inspired blend of honey, cumin, cayenne, vanilla and spices. 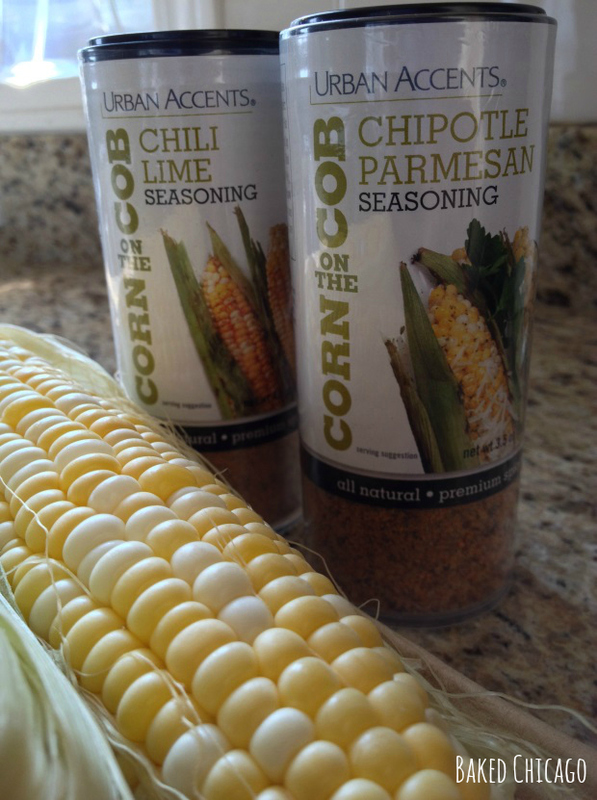 Chipotle Parmesan Corn Cob Shaker — A slightly spicy blend of chipotle, parmesan, salt and garlic. 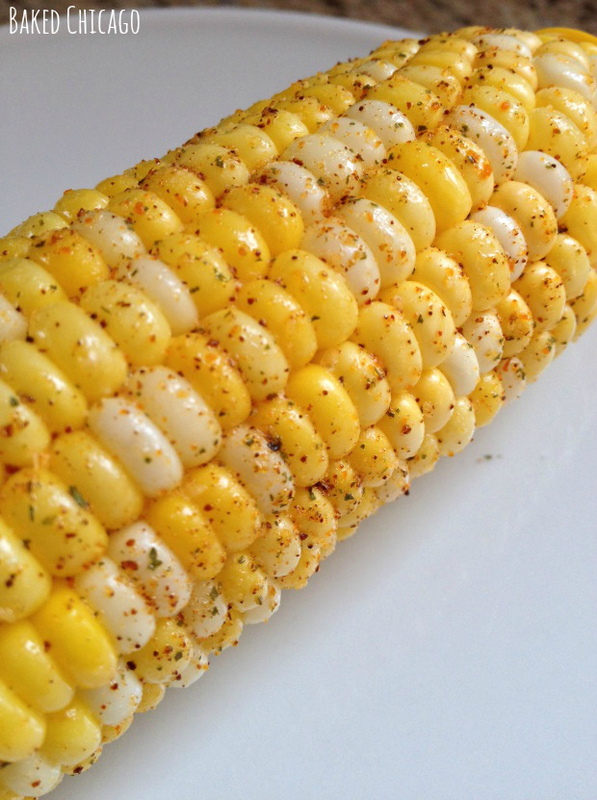 Chili Lime Corn Cob Shaker — A spicy combination of Serrano chiles, lime and sea salt. Sweet & Tangy Pickling Spice — A traditional 10-spice blend of coriander, mustard seed, allspice, ginger and more. Chicago Steak & Chop — The ultimate windy city blend of sea salt, pepper, garlic & red pepper for beef and pork. Sugar Free. Kansas City Classic Rub — Sweet & spicy grilling and roasting blend of brown sugar, ancho, chipotle and allspice. Argentina Steak Rub — A unique Chimichurri blend of red pepper, oregano, sea salt & citrus. Sugar Free. Sonoma Pepper — Citrus peels, garlic & Tellicherry pepper. The perfect topper for veggies and peppered beef. Sugar Free & Salt Free. Vermont Grill Dryglaze — Maple sugar melts with sage and thyme for a rich-tasting. Santa Fe BBQ Dryglaze — Honey granules melt with chili pepper and garlic for sweet-heat BBQ flavor. Athenian Herb Dryglaze — Honey granules melt with thyme & sundried tomato for light Grecian flavors. With so many spice options, I did have a favorite. I’m fond of pepper. If you forced me to choose between salt and pepper, pepper would usually win for me. I found the Sonoma Pepper to be exceptionally versatile, working well in meatballs, on potatoes and in eggs. The hint of citrus and garlic really elevates the pepper flavor. I use it instead of ground black pepper now for most dishes. My peppermill has become jealous! I also enjoyed the Corn On The Cob seasonings. I microwaved fresh corn on the cob (5 minutes on high) and brushed each ear with butter. Then I sprinkled generously on the corn. I think the Chili Lime seasoning was my favorite between the two. And you could also use these spice blends on popcorn just as easily. Melt a little butter to drizzle on the popped corn, then sprinkle with Urban Accents and gently toss. 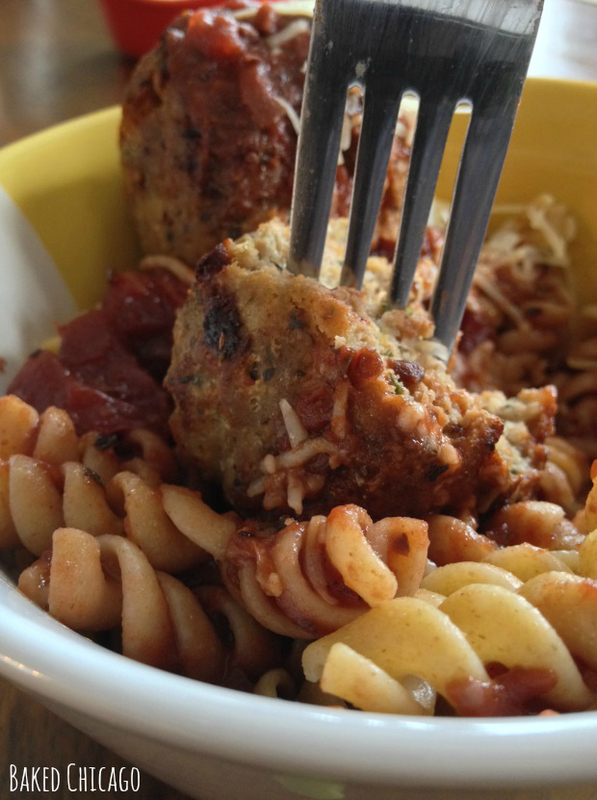 Of course, I had to try the Chicago Steak & Chop spice blend in hand-made Italian meatballs. Urban Accents calls it “The ultimate windy city blend of sea salt, pepper, garlic & red pepper.” I would totally agree. BEST. MEATBALLS. EVER. All of the packaging for Urban Accents has a minimalist appearance, yet it’s cool while also being quite practical. I really enjoyed the recipe suggestions and tips found on the outside of every bottle, bag or container. 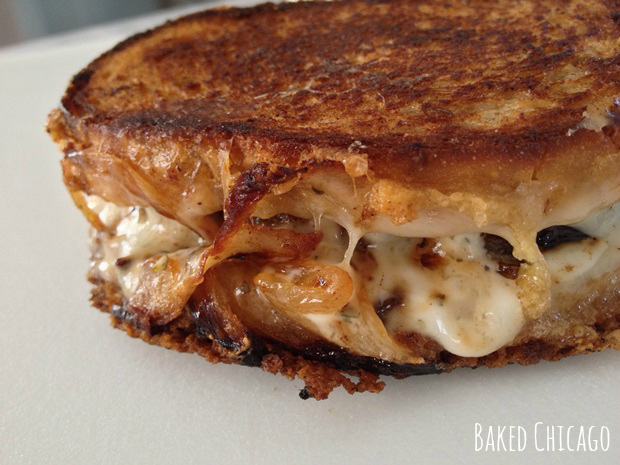 Those recipe tips inspired me to take the Balsamic & Roasted Onion Veggie Roaster and add it to the grilled onions that became part of my famous Patty Melt. You can see how delicious it was. I still have day dreams about that Patty Melt. It was that good. Urban Accents line of products is quite expansive. 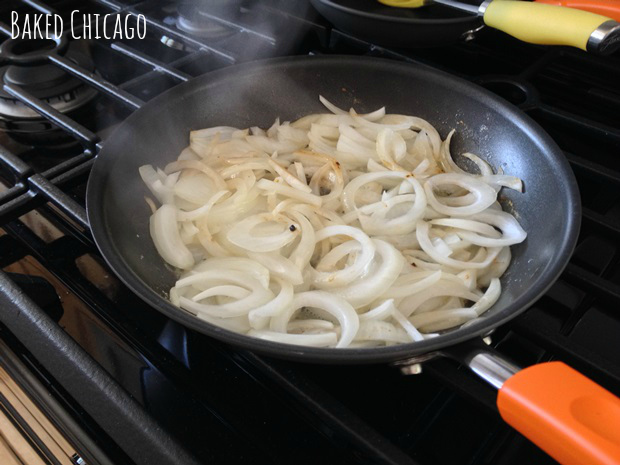 They now carry BBQ sauces from Lillie’s Q – a popular Chicago BBQ joint. 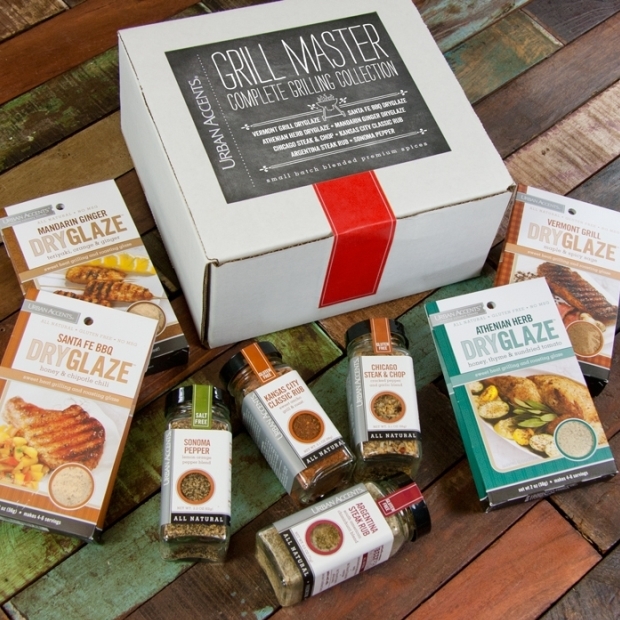 If you’re looking for a gift for the foodie in your life, you can’t go wrong with any of the gourmet gift selections. This year, I’m asking Santa for the Blockbuster Movie Night Popcorn and Fabulous Foodie Spice Blend Collection, which has 24 globally-inspired, blended spices. They’re color-coded by World Flavor: American Adventures, Pan Asian Flavor, Global Exotics, Latin Heat and Old World Classics. I guess that means I’m going to have to be extra good through December 25! 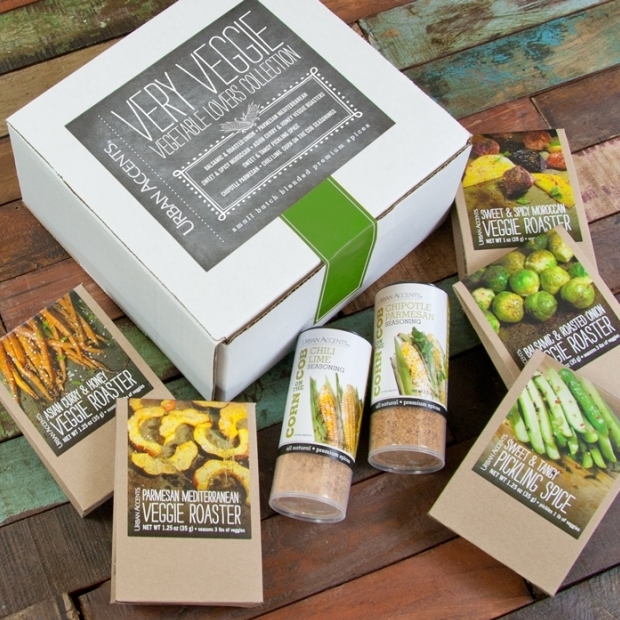 Disclosure: I was given a free sample of Urban Accents®’ Very Veggie and Grill Master gift sets to review. I get no additional benefits for talking about this product or company. All opinions about this product are 100% my own.